For those who don't know, my sister Kate and I established the tradition of seeing Colorado Ballet's The Nutcracker every year at Christmastime when she was still in high school and I was living at home, going to grad school. I always start thinking about buying our tickets as soon as Thanksgiving is over. It's one of the things that makes it feel like Christmas is really here. 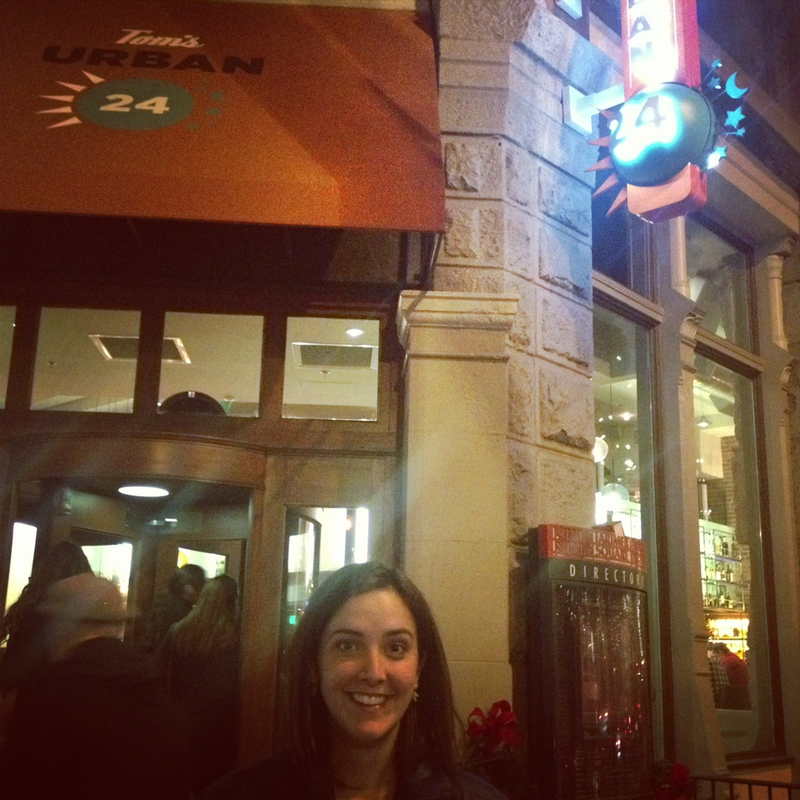 Last night we went out to dinner at Tom's Urban 24, then headed to the Ellie Caulkins Opera House for the show. It was a lovely time, even though the stranger next to me thought it appropriate to hum through all the songs that were familiar to her. In other news, I've decided to delete my instagram account at the end of the year, so I'm on a farewell tour. I took a lot of instagrams of the evening's events. Enjoy! Tom's Urban 24 opened while we were on tour in October, and I had been hearing some buzz about it, so we decided to try it out for dinner. The menu is waaaay too big, according to what I know from watching Gordon Ramsay's 'Kitchen Nightmares'. The drinks were good. Maybe go there only if you're having drinks. Per our server's recommendation, I ordered the green chile mac and cheese. I was not at all impressed. 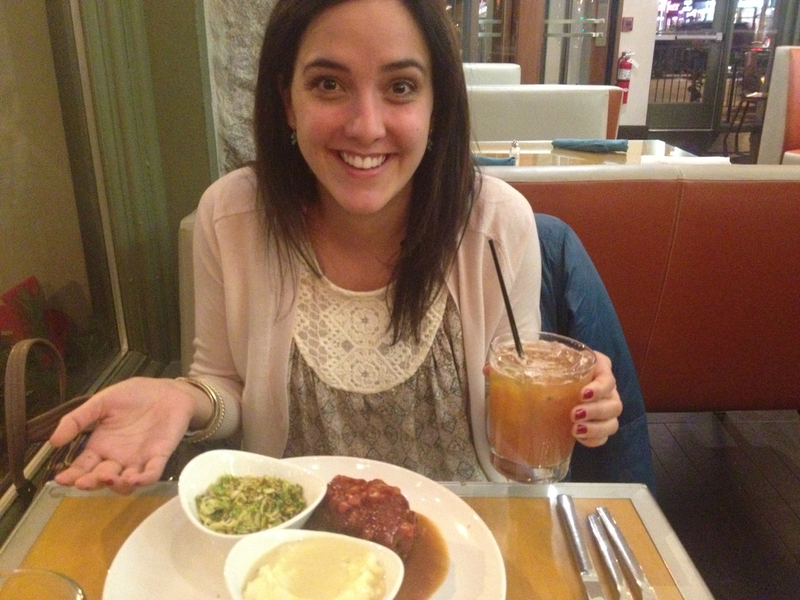 Our server was great, but she also said the meatloaf was good. I tasted it. It was not. Kate took this photo illegally. We're hoping one day we will graduate out of the upper balcony. We're pretty sure the girl we asked to take this one was one of the dancers. Ha.